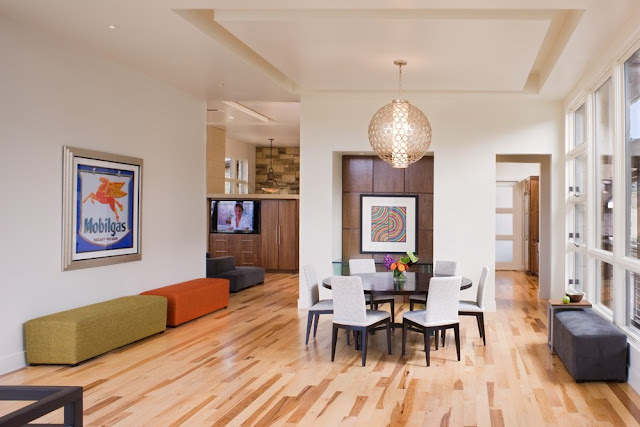 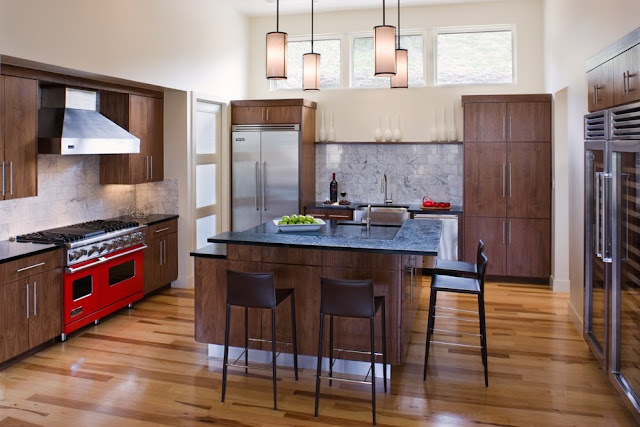 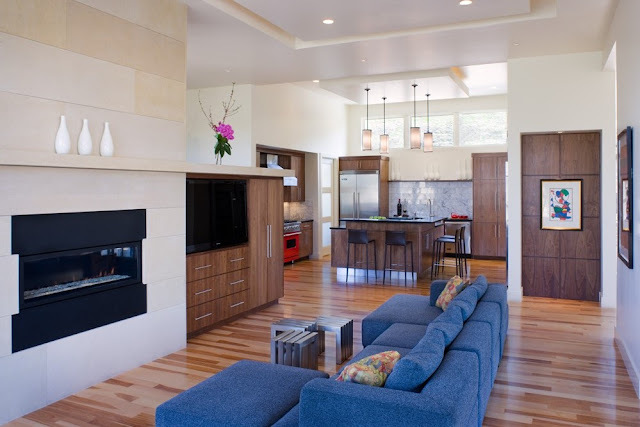 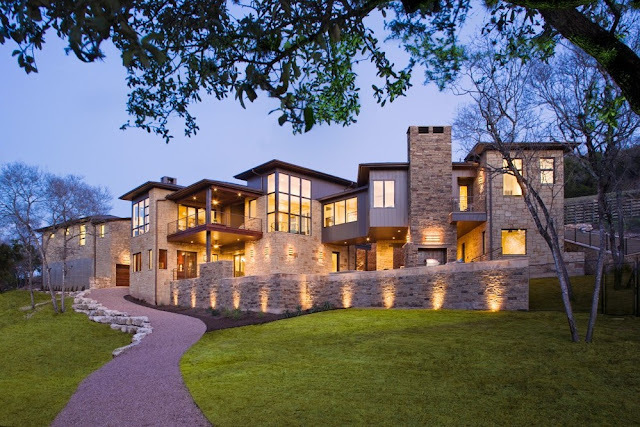 Another amazing home from James D. LaRue Architects workshop. 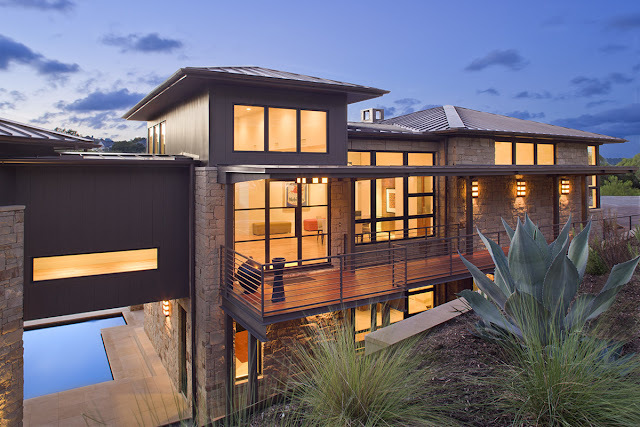 Westlake Drive, designed by mixing modern and contemporary with luxury and expensive. 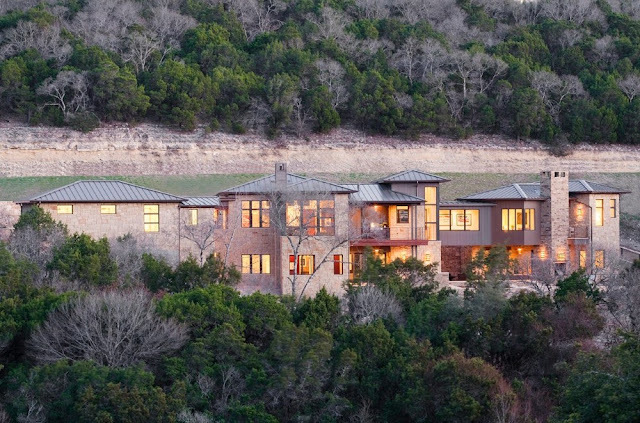 Views are another plus for this home, located in Austin, Texas. 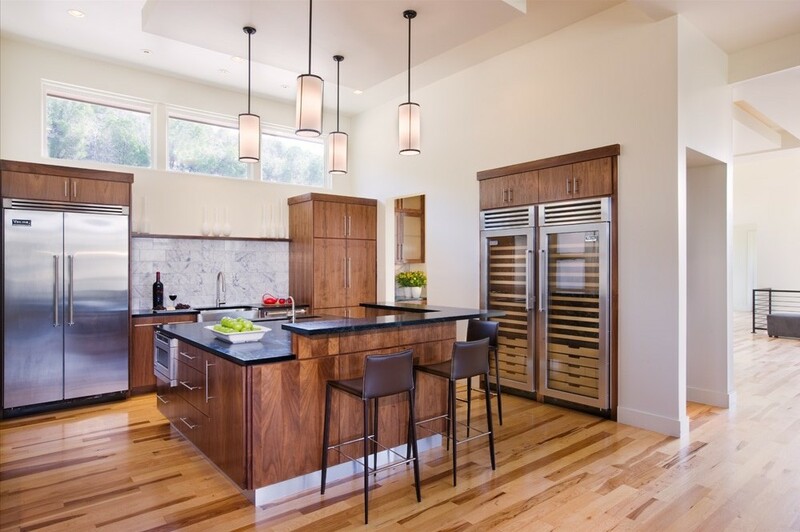 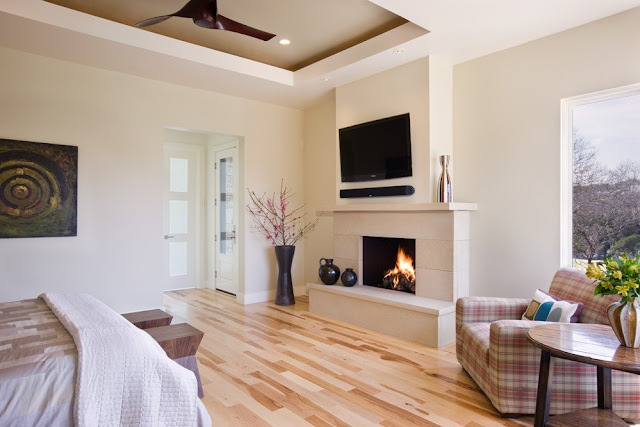 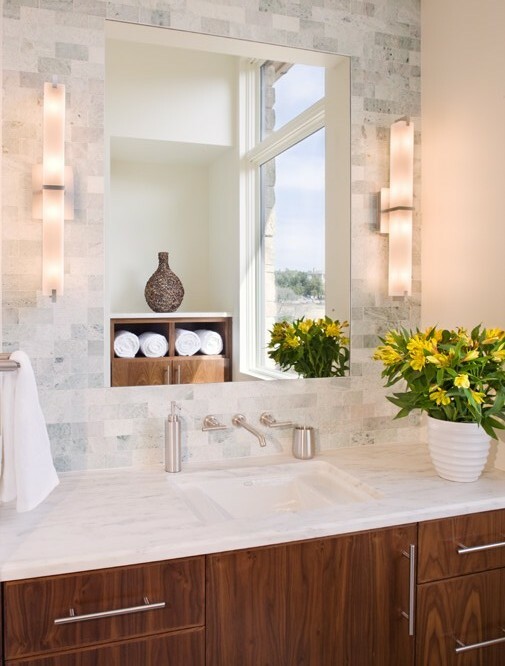 "Located on a very steep lot, this home provided a stiff challenge for the design staff. 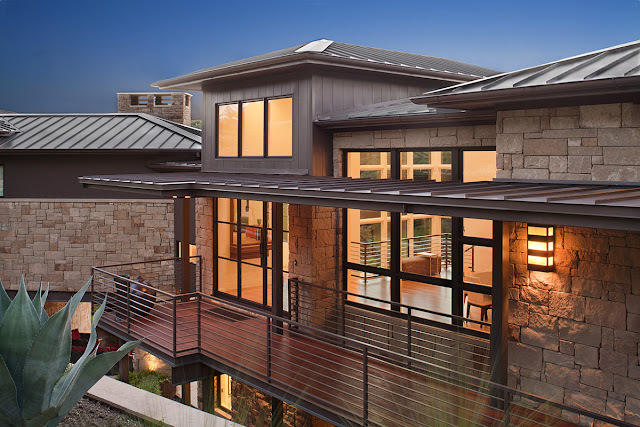 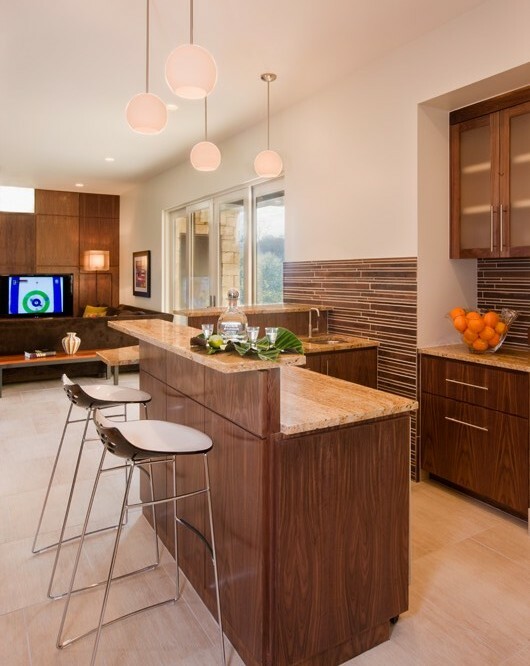 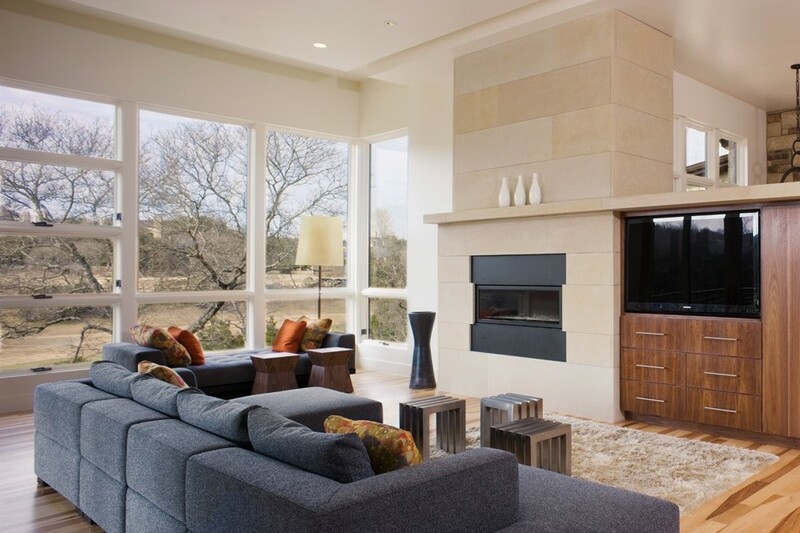 Contemporary throughout, this home is perched precariously on a bluff that overlooks Austin Country Club. With a 16' high retaining wall, courtyard and Ipe wood entry bridge, this home is snuggled into the hillside while showing off an impressive contemporary physique to the commuters above and golfers below. 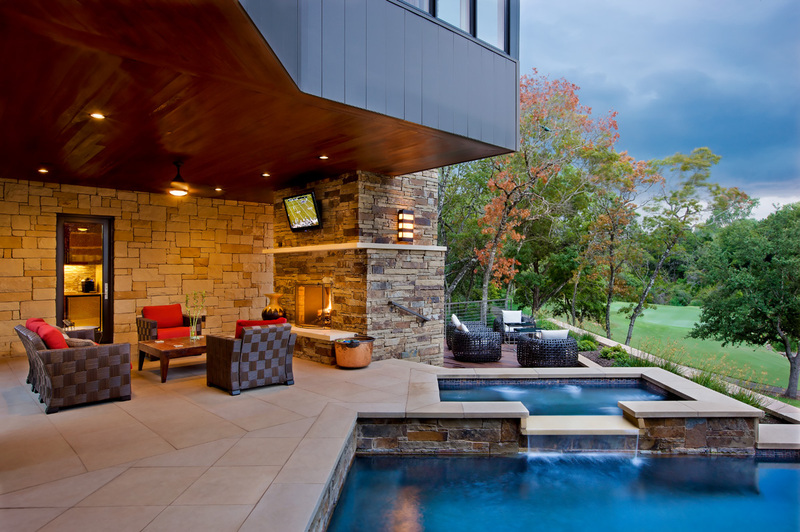 The bridged entry leads directly into a glass-walled Living area that overlooks the expansive golf course below. 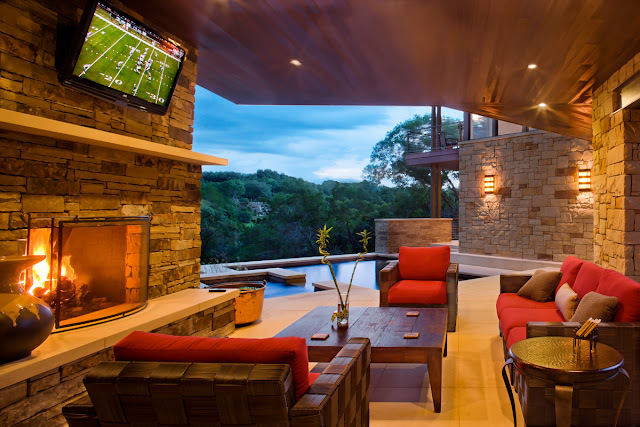 This house circuitously responds to the hillside landscape, allowing for amazing views from almost every room in the house."